Third-year member of the program looking to put a full indoor and outdoor campaign together…will primarily compete in the pole vault…versatile and talented high school athlete who competed in pole vault, jumps and sprints and captained Lakewood Ranch to the 2016 4A Florida state title…two-time ACC Academic Honor Roll selection. Indoor: Sat out the season as a redshirt. 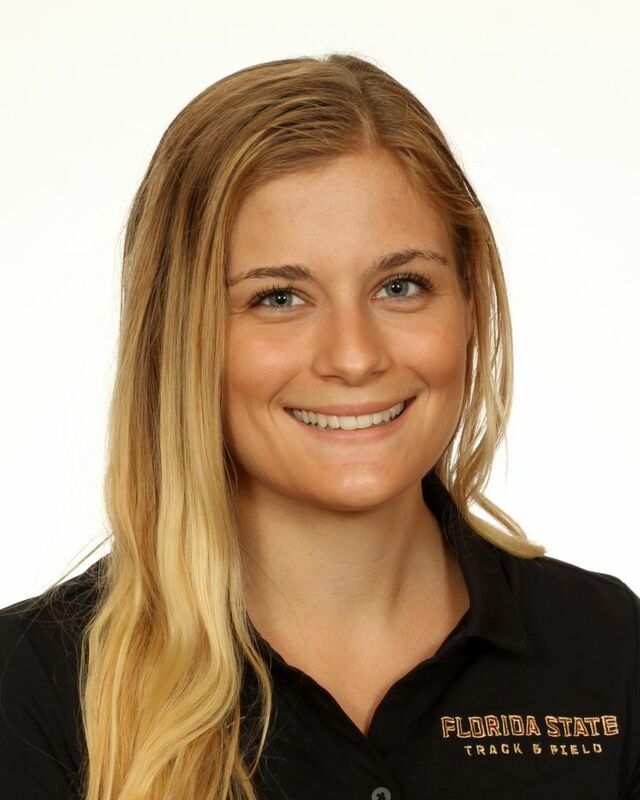 Outdoor: Saw her most extensive action with the Noles to date, competing in four meets…matched her indoor pole vault PB (3.50m) at both the UCF Black & Gold Challenge and the FSU Relays…competed in the pole vault and notched a wind-aided 12.18 100-meter dash at the Tiger Track Classic…finished fourth in the pole vault at the Seminole Twilight and also competed in the 100…alternate on FSU’s 4×100 relay at ACC Outdoor Championships. Indoors: Competed in two meets as a true freshman…posted collegiate best clearance of 3.50m (11-5.75) in pole vault debut at the Clemson Invitational to finish fourth…also recorded collegiate-best long jump (5.23m/17-2)…also competed in both events at the Bob Pollock Invitational. Outdoors: Forced to take a medical redshirt. Set the Lakewood Ranch pole vault record as a senior at the region meet (3.68m/12-1)…was bronze medalist at state in both 3A (’15) and 4A (’16), clearing 3.65 meters (12-0)…also member of LR school record 4×100 relay, which scored at both the ’14 and ’15 state meets…two-time field events MVP at LR…owns 100-meter personal-best of 12.13…three-year member of the National Honor Society…graduated in the top 10-percent of her class…was an AP Scholar Award winner…president of the Arts Collaboration and was a Jazz I bassist for four years…cousin Craig Engels (Ole Miss) was fourth in the 800 and fifth in the 1500 at the 2016 US Olympic Trials…daughter of Mark Ogles and Catherine Day…majoring in environmental science…born September 22, 1997.